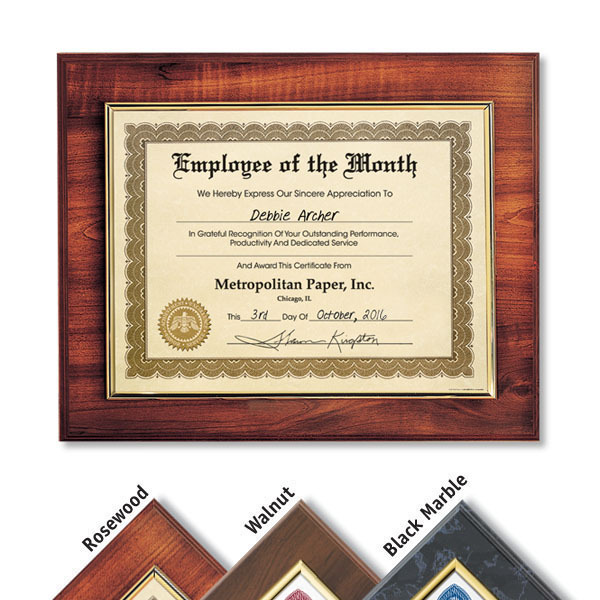 Add instant impact to employee award certificates - display them in our elegant InsertAward® Plaques! 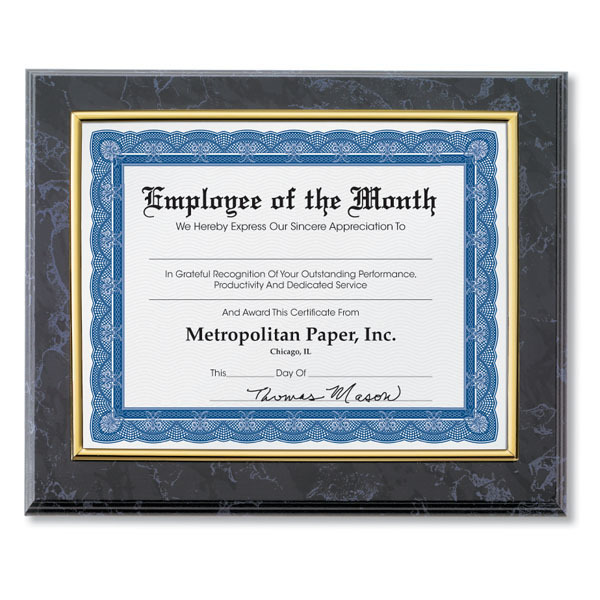 Effortlessly transform any employee award certificate or employee recognition certificate into an elegant award presentation with the InsertAward® Plaque. 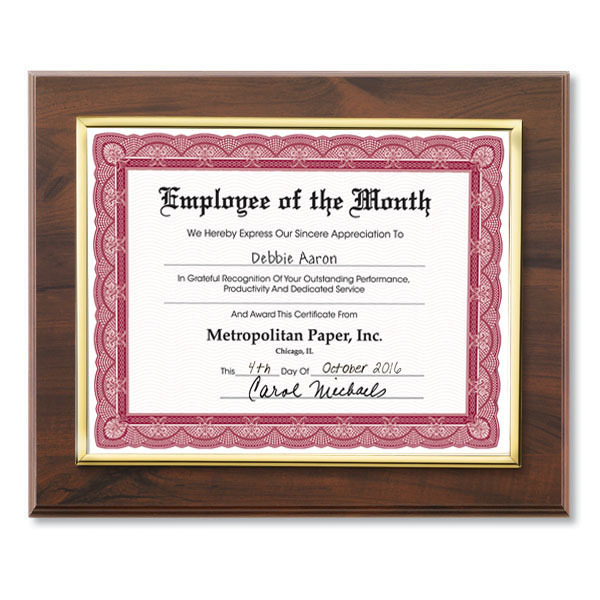 Just slide any of our 8 1⁄2" x 11" award certificates into the frame, and you’ve just created a memorable award your employees will display with pride. 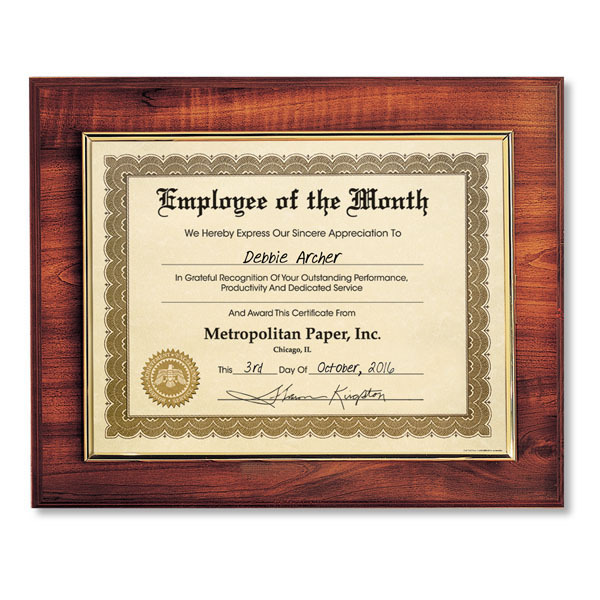 Plaque size: 11 1⁄2" x 14"
Gold frame size: 8 1⁄2" x 11"